Who says British food is bland and boring ??? If you've ever tasted a well cooked slice of roast beef accompanied by a perfectly roasted potato and parsnip, a Yorkshire pudding, and lightly steamed fresh vegetables, well, then you know the fallacy of that statement. I have just come across a very interesting article (Courrier international) about a book written by an american lady Pamela Druckerman : French children don't throw food. What British parent hasn't noticed, on visiting France, how well-behaved French children are - compared to our own? Pamela Druckerman, who lives in Paris with three young children, has had years of observing her French friends and neighbours, and with wit and style, is ideally placed to teach us the basics of parenting a la francaise. English mums have a different approach to education. Instead of saying "It's enough now" they ask "why do you do that ? Hmmmm ... I must have the only two French kids that are not compliant ! How come French babies sleep through the night ? Why do French children happily eat what is put in front of them ? The baby plays all night and sleeps till noon ! The 5 year old girl refuses to eat vegetables, nor ham, nor fish, nor meat ... and all she wants is pain au chocolate or sucettes ! They are both "driving me to a life of alcoholism" !!! I have got good news for you Nick. British food and drink are now the new and modern british art. By the way, how are you Nick ? I agree and i dont. Roast dinner is delicous. I have it almost every Sunday. It is about mixing and matching so you don´t get bored. I like mince or chicken and mushroom pie as well, toad in the hole and other stuff. We don't hear much about GMOs in the United States. In France, we tend to think everything comes from Monsanto and the like which poison the world freely. Pls notice the single l in "labeling" (there would be "ll" in British En). A friend of mine who may be a farmer in North Texas keeps posting on the subject, along with Monsanto killing bees. I am very surprised ! When in Europe? Shall we escape? Here's a 57-min documentary on GMOs discussing the situation in the US and the dangers for everyone there. Monsanto is an american multinational corporation founded in the early 1900′s by John Francis Queeny. It’s no coincidence that he was a veteran of the pharmaceutical industry. Monsanto and the people that govern it hide behind the classification of multinational corporations and political labels in order to implement their desired agenda. Why on Earth is our food being manufactured by the largest pesticide company in the world? Why on Earth is our food being manufactured by the largest pesticide company in the world? Worse! I wonder if I'm confusing with the German companies Bayer, BASF, etc. (IG Farben during WWII) but I guess that before pesticides, Monsanto was manufacturing poison gas: asphyxiating gas, mustard gas and the like. An article about aspartame... didn't know it was poisonous!! The chief patent holder of the sweetener is the Monsanto Co., based in St. Louis. In 1967, Monsanto entered into a joint venture with I.G. Farbenfabriken, the aforementioned financial core of the Hitler regime and the key supplier of poison gas to the Nazi racial extermination program. In view of Monsanto's Nazi, chemical warfare ties, and the fact that aspartame is a potent stand alone poison, NutraSweet is a can of worms unprecedented in the American food industry and casts an extraordinarily long shadow across the integrity of the FDA and the American Medical Association that should have screamed bloody murder over the issue. The history of the product is laden with flawed and fabricated research findings, basically a barrage of blatant lies provided by a battery of independent medical researchers, all of which were used as the basis of FDA approval. Aspartame is a deliberate poisoning of the masses. -> Peddling Monsanto Poison To Our Most Innocent Our Children: Michelle Obama’s 2nd-Term Agenda ~ Impact Nature of Food With Monsanto! She is right because we are what we eat aren't we? However, I wonder how many Americans are aware of this. As Michele Obama gets involved in food, things may evolve. 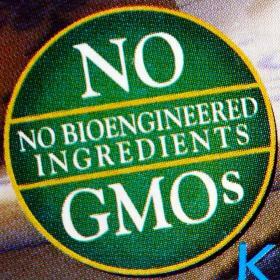 On Friday, the Vermont House Agriculture Committee, after weeks of testimony, passed H.112, or the “GMO labeling bill,” by an 8-3 vote. What's the bet Monsanto will threaten lawsuits and throw more $ at legislators. I picked up an expression I didn't know... I would have never dared translate "Combien on parie..." by "What's the bet..." (first time I see this expression) I'll remember. Yesterday night on the French channel FR2, I saw a documentary stating Americans were more and more interested in food, so that even girls wanted to work as butchers (don't remember if they wanted to kill bulls with their fists)!! Butchers advise Americans not to eat that much meat and they were explaining they took great care not to stress animals otherwise meat was not good. The comperes also said Americans were promoting short circuits. Eating too much meat is a common dietary problem in American society. Most Americans don't realize that they're eating too much meat. The risks of eating excessive amounts of meat include heart disease, kidney disease, osteoporosis and cancer. I heard Chinese were eating more and more meat (and other food) and obesity is increasing there as well, due to new living standards and to single-child politics (kids are spoiled: nothing is well enough)... not sure China takes a good way. Difficult for a nation to learn from other's mistakes. After long want period, they make the same mistakes as many other countries. I have heard that when man started to eat cooked meat his brain started to grow. Who could explain to me why ? Green economy is a must and I would like to open this subject to know what you think about it. Though a great deal has already been done our future depends on it and it is so important ! I don't know the English for "La nuit porte conseil" (I have just found it = Let's sleep on it) I just want to have time and write about it tomorrow.